Ya gotta give it to this talented 13 year old - Millie Bobby Brown, best known for her breakout role as Eleven in Stranger Things, can really do it all. If being a dramatic actor in a hit Netflix series wasn’t enough, shes a pure delight on talk shows AND appeared on Jimmy Fallon recently. For those of you wanting a recap for season one (if you havent started watching season two yet), she performed quite an impressive rap-recap of all the important info you’d need before binge watching the new season! On a personal note - I thought the second season was even better than the first. Finished it up last night, and boy was it fun to watch! All the characters really stepped up and the story was even more interesting than the first. I recommend it to everyone! 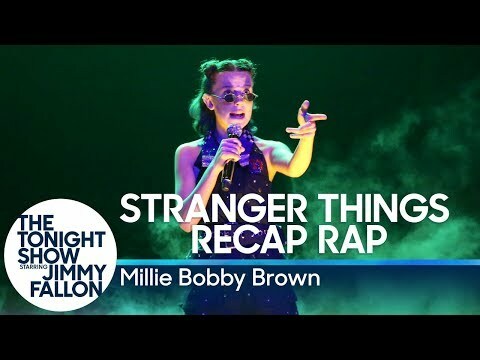 Just in case you needed a refresher on the plot of Stranger Things season one, heres Eleven herself rapping about it! 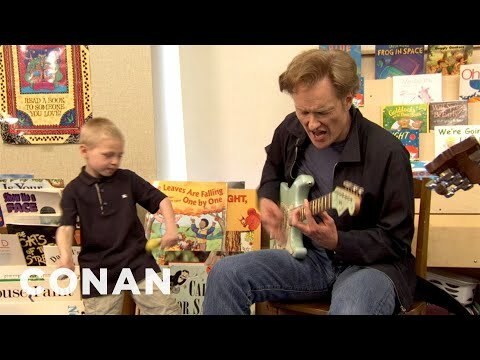 Conan O'Brien writes some Chicago-style blues songs with a little inspiration from some kids!